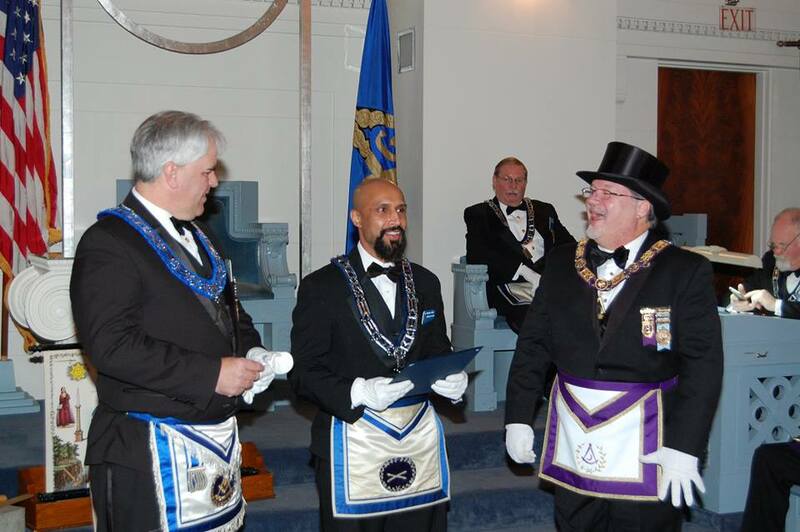 A warm congratulations goes out to Brother Mahendra Vichare, who has earned his "Master Mason Rookie Award" and was presented his certificate last Tuesday by the District Deputy Grand Master. The Rookie Award program was instituted in 2008 - The Master Mason Rookie Award challenges a new member to meet a series of objectives during the first twelve months after his raising that will get him involved in the lodge and expose him to many different aspects of our Fraternity. More importantly, it will provide the opportunity for the Brother to get to know the members of his lodge in several settings - while also giving the members of the lodge a chance to get to know him better too. In the short time Mahendra has been part of the fraternity, he has jumped right in to get involved and has already accomplished a great deal. Morning Star Lodge is fortunate to have added such a talented, committed Brother to our ranks!